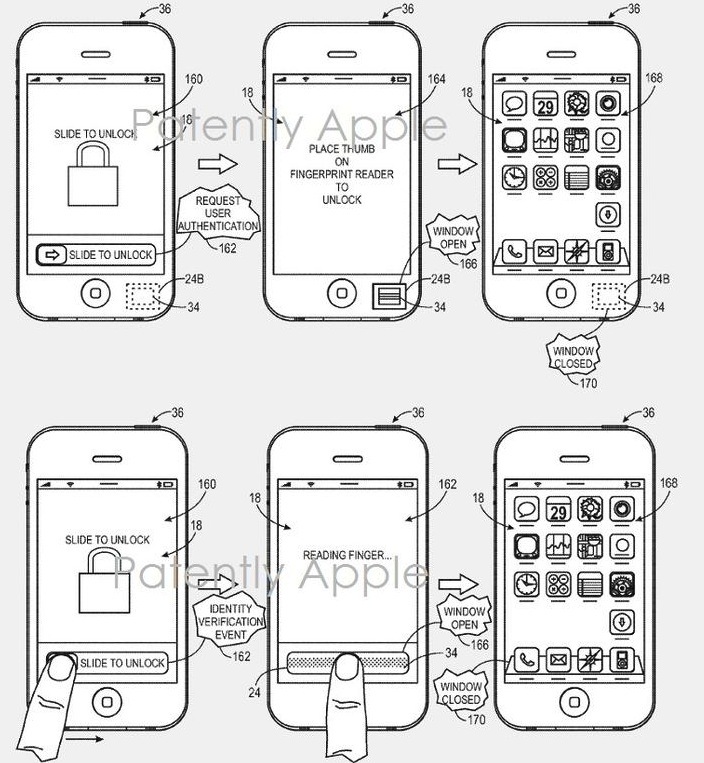 Apple is always known for acquiring and submitting its own patents . 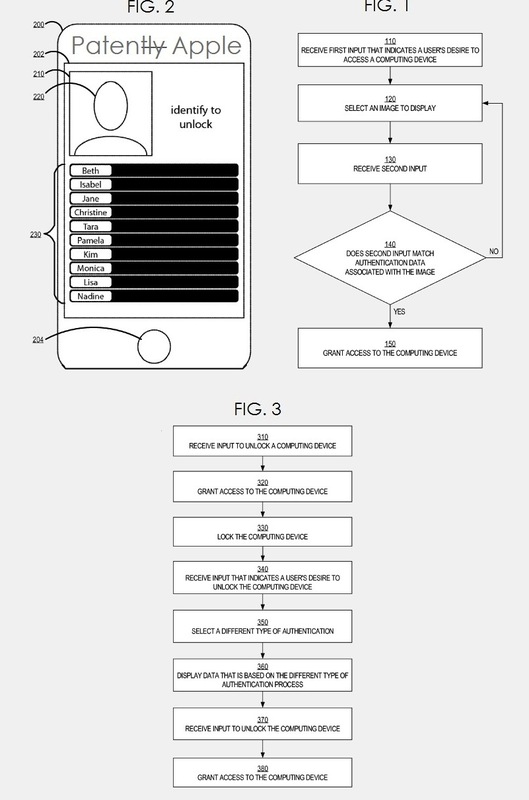 Last week, Apple had acquired a patent related to cloud/database from a Canadian firm –Maya Systems. 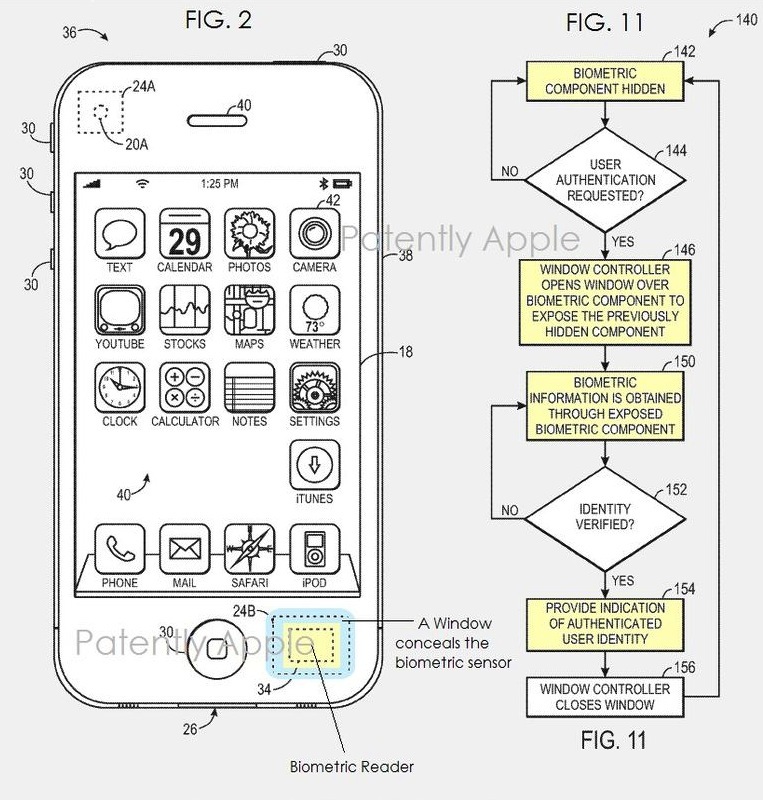 This patent deals with scraping information from the cloud and sort them into a timeline view .Earlier today , Apple has submitted a new patent application to the U.S Patent and Trademark office . 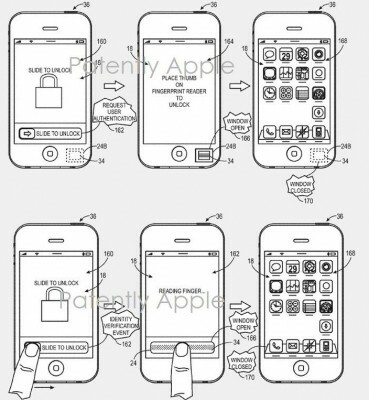 The patent deals with an unlocking method for iOS and OSX devices that uses image identification to authorize a user. This unlocking technology can be found in Apple’s new operating systems ( OSX 10.9 and iOS 7) which should release this year. The system would provide the user with photos from his/her iPhoto collection and the user would be prompted to identify the details of the photo in order to gain access to the system . It might also ask questions like “Who is this? ” or “What is this?” and the user has to correctly identify the person or the object in the photo. Although this might raise a question: What if my close friend knows the person / object in that photo ? . 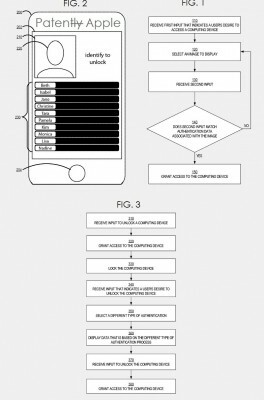 Apple’s patent mentions that the user can select any photo from the library , frame his/her own question and also a unique answer for that question. Well suppose , the user saves a picture of Burj khalifa (The world’s tallest building ) as the unlocking image , ” What is this ?” as the question and “Big stick” as the answer. Not many people will answer “Big stick” to the image when it flashes on the unlocking screen. Users can also set multiple rounds of image identification for enhanced security. 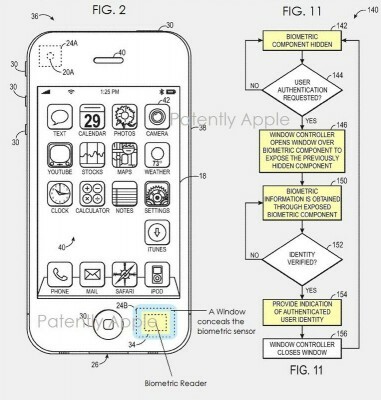 Now , why has Apple submitted a new patent for unlocking devices ? What’s wrong with the present system? Apple’s present unlocking system on iOS devices prompts the user for a 4 digit PIN. When you are traveling in a bus/train , a person standing behind you might be stalking at your finger moments while you unlock your phone and later steal your phone. Or, put it this way, When you accidentally leave your PIN protected iOS device somewhere, the thief might be able to unlock the phone by tracking your finger prints on the display. Apple has found a method to hide security components behind a glass window that could change between opaque and transparent configurations such as Polyester Dispersed Liquid Crystal Widow. The advantage of using such a material is that, it remains hidden under the glass when not in use and appears only when required / prompted thus preserving the aesthetic appearance of Apple products . 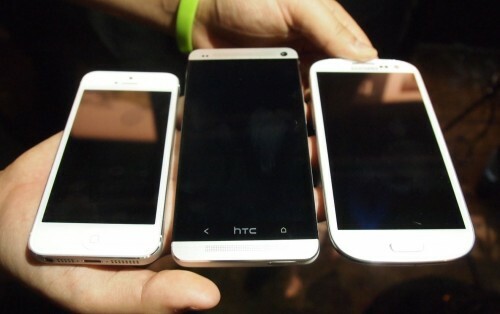 A small sensor would suddenly appear from nowhere when the user unlocks the phone and the sensor disappears when the authentication is done successfully . There would also be a slide to unlock screen once the biometric authentication is done. 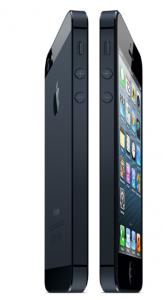 This technology might be featured in the next iPhone.